Mean Boss | SeibCo, LLC. Many books and speakers talk about leaders who are cut-throat, egotistical and mean. The myth is they love to fire people. To add fuel to this misperception, many employees subjectively blame their boss for others’ poor work ethic and job performance. They keep their resumes circulating, just in case they are next. Being “nice” is not a responsible alternative when you are the boss. Want the truth? In the quest to keep a company financially stable, even good bosses fire people. 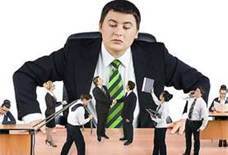 While there are bad bosses, and good workers mistakenly terminated, many times you will find those departed employees are the same ones who complained about multiple boss challenges (e.g., blamed others for their inability to produce required results and refused to work well with co-workers or management). Eventually they would have ended up leaving anyway. They fall among the shockingly high 63% to 79% of people who work in jobs they don’t like. Many times these are also the ones who are unwilling or unable to learn the technical or people skills required. All the training and coaching efforts in the world will rarely produce useful or sustainable results when someone does not fit their job responsibilities. (Think, millions of dollars spent without a positive ROI!) It happens regardless of their length of time on the job, previous work experience or popularity with others. Even though demotion is a viable alternative, most people’s egos won’t allow them to step backward, even if they had been extremely successful in that position. Moving them to another job within the company only works if the job fits them! More often, a terminated person finds a better position with another company.